The Nicaragua country flag has an usual history. Most flags are formally adopted shortly after they are designed, but the flag of Nicaragua was used informally for more than half of a century before the nation's government passed a law to make it official. That Nicaragua flag followed a long line of flags that had been associated with the nation itself and its historical predecessor, the United Provinces of Central America. 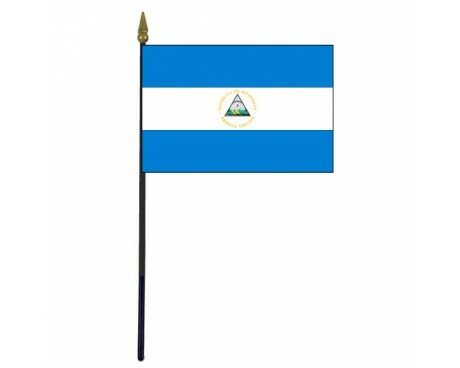 The flag of Nicaragua was officially adopted on August 27, 1971 (first adopted on September 4, 1908). 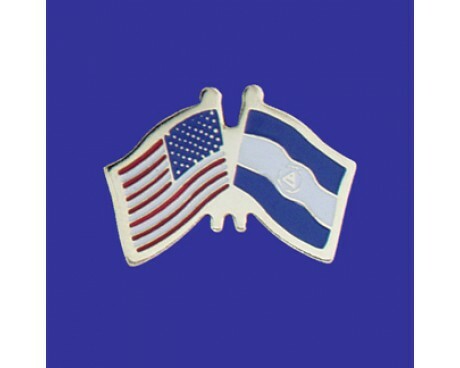 It is based on the flag of the United States of Central America and inspired by the Argentine flag. The flag and the arms of Nicaragua in use today are the most similar to those used by the United Provinces of Central America. The triangle, volcanoes, rising sun, Cap of Liberty, and rainbow all appeared on the original emblem. The coat of arms used today contains the name of the state, Republica de Nicaragua, whereas in 1823 the title was Provincias Unidas del Centro de America. 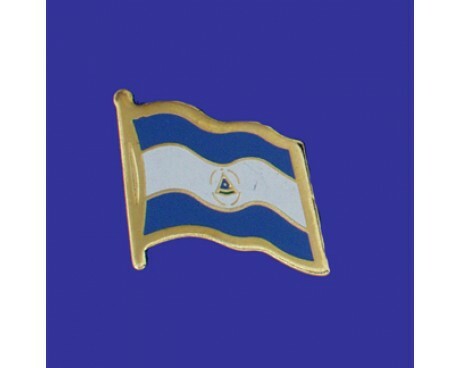 The decision to revert to the emblems used by the United Provinces of Central America was taken in 1908 and reflected Nicaragua's aspirations for the rebirth of the political entity formed by the 5 nations. Except for the text around the arms, the flag is very similar to that of the United Provinces of Central America. The 5 volcanoes represent the original 5 member states, the Cap of Liberty represents national freedom, and the rays of the sun and the rainbow are symbolic of the bright future. The Nicaragua country flag is made up of three horizontal stripes that alternate between blue and white. The coat of arms of Nicaragua is placed in the center of the flag. It is very similar to the coat of arms of the historical United Provinces of Central America, and features five volcanoes, a liberty cap, and a rainbow. The liberty cap represents the nation's revolutionary heritage and love of freedom, while the five volcanoes represent the five original provinces of the United Provinces. The rainbow represents the hope for a bright feature. It also serves the purpose of making the Nicaragua flag the only national flag to include the color violet in its official design. Nicaragua was once part of the United Provinces of Central America, so its flag shares a great deal of its history with the other nations that made up the United Provinces. The earliest of those flags came into use in 1823. It resembled the modern flag of Nicaragua, but it used a lighter shade of blue than the current design and featured a different variant of the seal. A new version of the flag was adopted in each of 1823, 1824, and 1825, but all of them remained in use for at least a few years after the next flag was adopted. The last of them fell out of use in 1854. when a horizontal tricolor of yellow, white, and tan came into use. The nation adopted a new flag of blue and white that lacked an emblem in 1858, but it reverted to the previous flag in 1873. It returned to blue and white flags in 1893, and some variation on that design has been used ever since. The modern design came into use in 1971, and has remained stable ever since.